Happy Peanut Butter and Jelly Day! 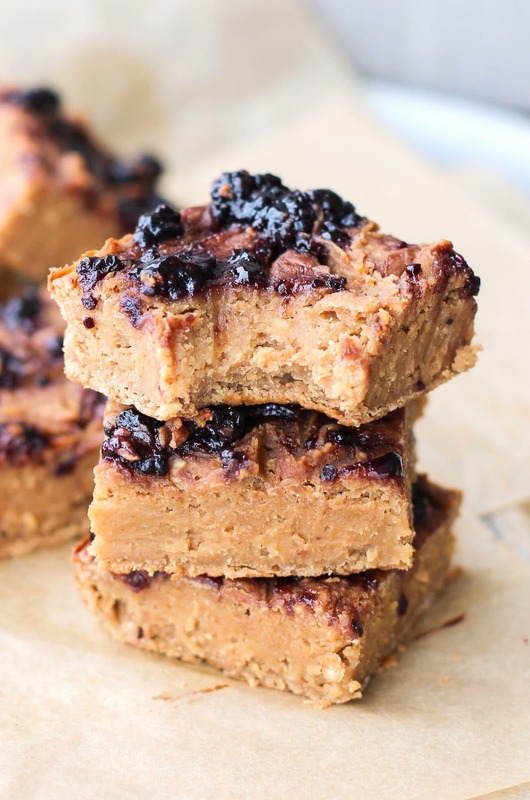 Let us celebrate this majestical, delicious day with Healthy Peanut Butter and Jelly Blondies. No matter what age I am, peanut butter and jelly always brings school memories to mind. I’m not talking about the notebooks, the textbooks, the homework and the mean old teachers, I’m talking lunchtime. With mah PB&J’s. But the sandwiches get boring after a while, so we gotta spruce up that PB&J! That’s why I made DIY PB&J Uncrustables. 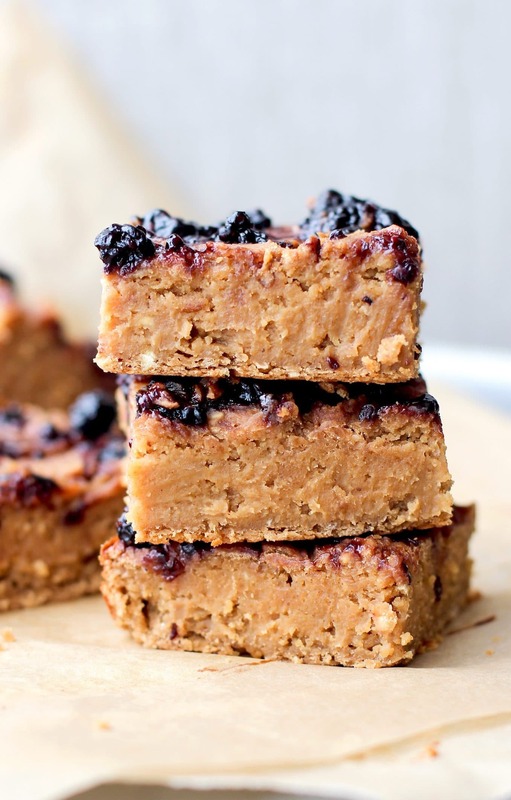 And now, these PB&J Blondies. 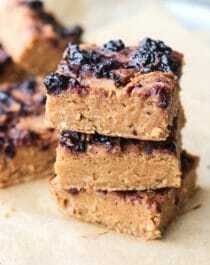 Clarification: HEALTHY Peanut Butter and Jelly Blondies! 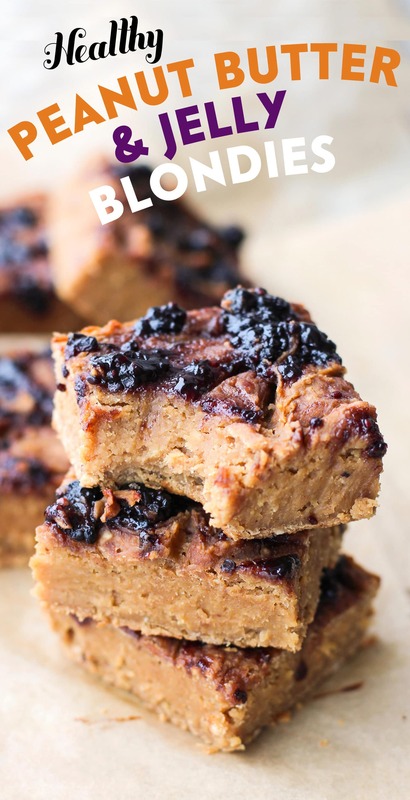 These Peanut Butter and Jelly Blondies are dense, chewy, fudgy, and DELISH! 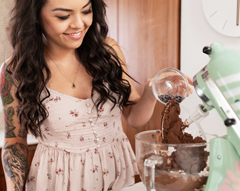 In a food processor, add the applesauce, garbanzo beans and stevia extract. Blend until completely smooth. 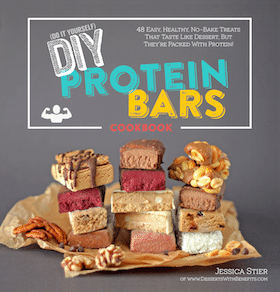 Blend in the peanut flour, erythritol and salt. Scoop the mixture into the prepared pan and spread it out (it should be super thick... I used an offset spatula to spread it out). Drop spoonfuls of the fruit spread over the blondie batter and swirl it in using the offset spatula or a butter knife. Bake for 45-50 minutes, or until firm. Let cool completely, then slice and serve! 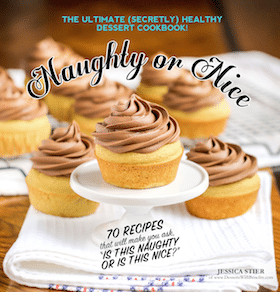 The peanut flour provides that classic peanut buttery richness, but without all the calories and fat. The fruit spread topping cuts the salty twinge and peanut butter richness and brightens up the overall flavor. 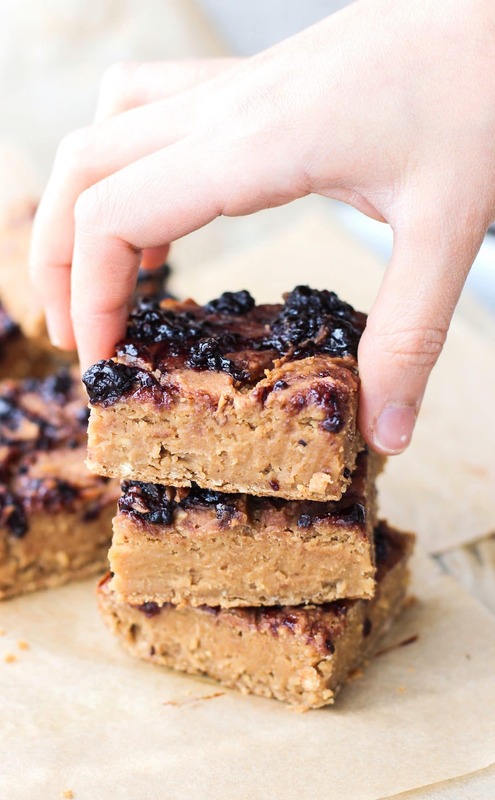 These secretly guilt-free blondies are the perfect snack to have on hand for when you’re craving both a PB&J and dessert. These blondies are perfection! I absolutely love all your recipes, and I love your blog. My ultimate goal in life is to be sugar-free and eat only foods that have nutritional benefits. Your recipes are helping me on my journey there so much! Thank you. I made these exactly as written, weighed them and everything. It was very tasty, but more like mochi than anything — very dense. I did grind my own oat flour but that’s the only change I made. Do you think maybe humidity has something to do with it…? Thanks! How many servings does this make? Want to make sure dont eat too much lol! Also is there anyway we can substitute the apple saucewith something else? Applesause is full of fructose and I am fructose intolerance so Dates also wouldn’t work? Thanks love your recipes and blog? So simple!! Love the beans in there. I haven’t done any baking with peanut flour yet, looking forward to trying it! I just want to let you know that I tried this today and absolutely loved it. I have been a vegan for almost 2 months and never knew this stuff could taste so good. While I still have cravings for a good steak once in a while, recipes like this keep me from cheating so thanks so much :).